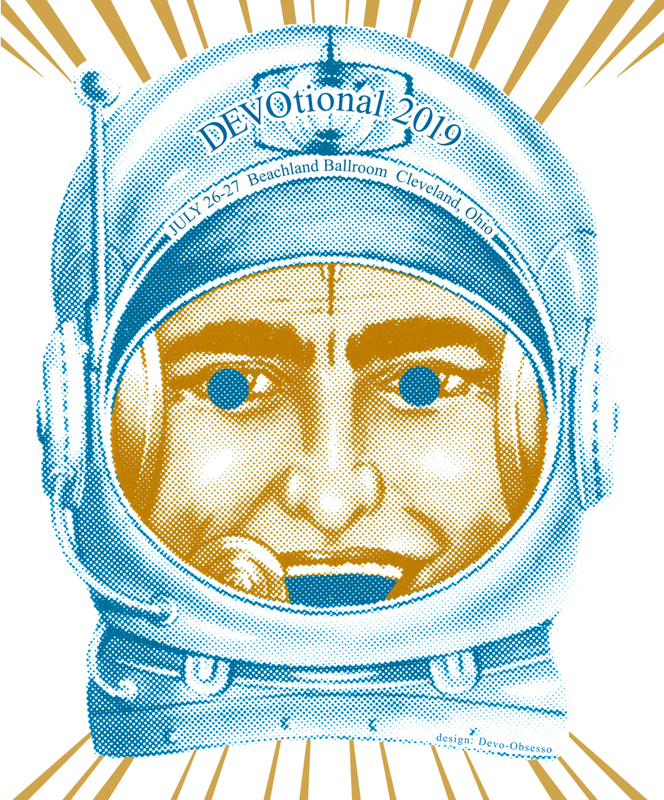 DEVOtional Tickets ON SALE NOW! First 100 ticket buyers get a coveted limited edition FREE GIFT! 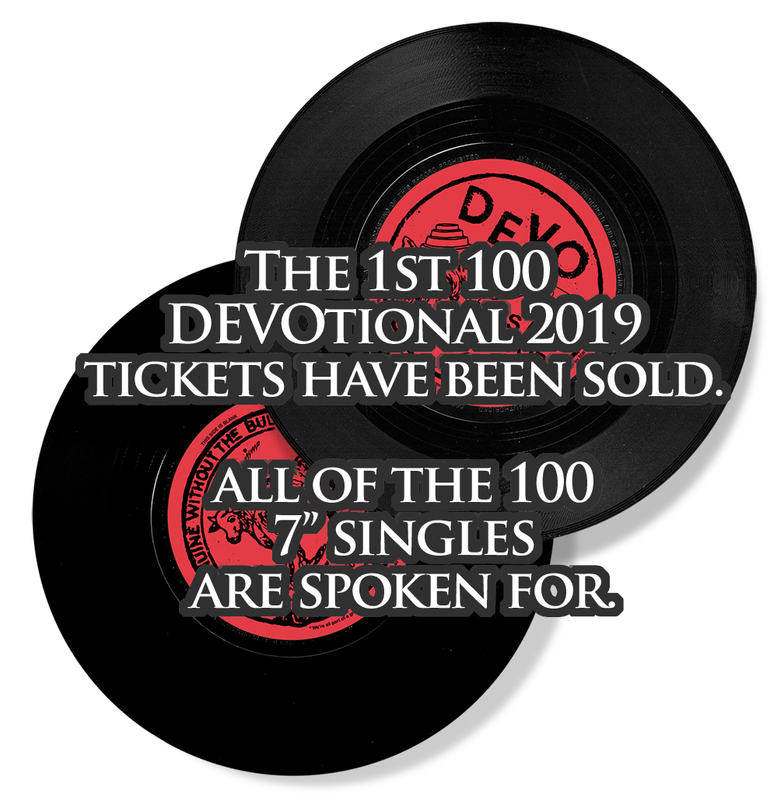 Brought to you in part by Futurismo Inc.
to the first 100 DEVOtional ticket buyers. Ltd. Ed. Hand-Numbered Single-Sided 7" Vinyl of DEVO performing "It's All Good" as The Big Dirty Farmers. An obscure song written by Mark Mothersbaugh & available for a very brief time as a digital download on the first ClubDevo.com site back in 2000. Never released on any physical media until now. Pressed on pure BLACK vinyl. Only 100 of these singles will be numbered & available to the public! There are no plans to release this in any other form in the future. 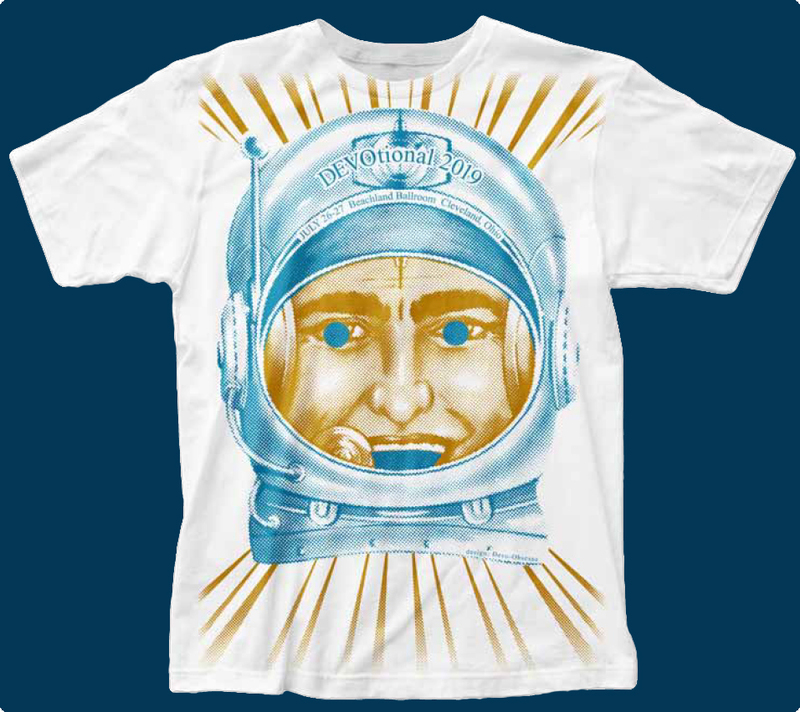 ---As you can see, this year's tee is De-VO to the highest degree! In order to get this oversized graphic tee screen printed, we have to order a higher minimum quantity than we're used to, and it's not likely that we'll be able to get more reprinted after the event. This is why PRE-ORDERING is SO IMPORTANT this year! If you want to be ABSOLUTELY SURE you get the size you need, ORDER NOW! If you arrive at the event and your shirt size is already sold out, there probably will not be another opportunity to purchase this limited edition event tee in the future.